Moab real estate is becoming increasingly expensive. Moab is a rare city in the U.S: It is quickly growing, yet has still retained its own unique identity. There is no Wal-Mart in Moab, very few chain stores, and no big-box developments or strip malls, which is why so many love living here. But growth is inevitable, and many people who want to live here are finding it harder to secure housing. 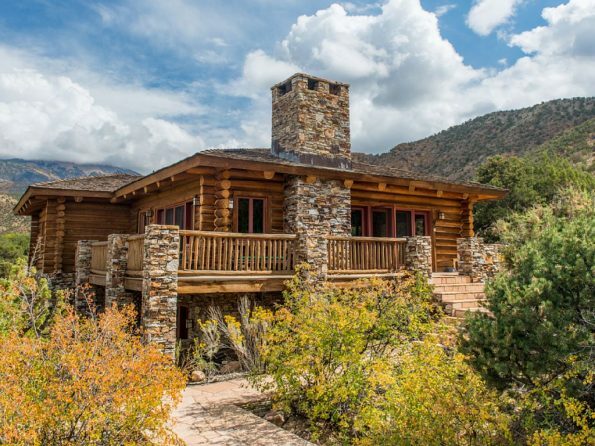 Real estate prices are increasing in Moab from 10 to 15 percent per year, and the limited amount of space near the city is quickly filling up. Moab’s economy is now 85 percent tourism-based. Besides guests, young people from all over the world arrive here to take jobs at adventure tourism companies, hotels, restaurants and coffee shops. But they face one big problem: finding a place to live. Four new hotels are under construction in Moab, offering 600 more rooms for guests from all over the globe who come to visit one of the seven natural wonders of the world. These rooms will be added to the four hotels built last year. One of the biggest employers in the area, Colin Fryer of Red Cliffs Lodge, has decided to take matters into his own hands. He is offering employee housing in about 12 Airstream-style trailers he placed on his property above his lodge and ranch, which are designated as a licensed RV park. This way he could fill the critical positions of house-cleaners and staff required to maintain his dozens of cabins which line the Colorado River. 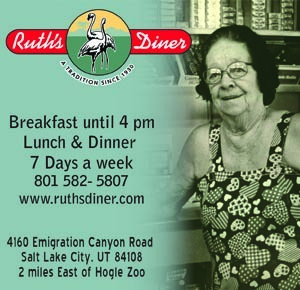 Susan Shrewsbury is a real estate agent for Byrd and Co. Real Estate, and has lived in Moab for thirty years. “In the late eighties, there was a lot of inventory on the market and the houses were very cheap, around $20,000. But bank loans weren’t offered only as FHA or VA loans (government secured loans),” she says. 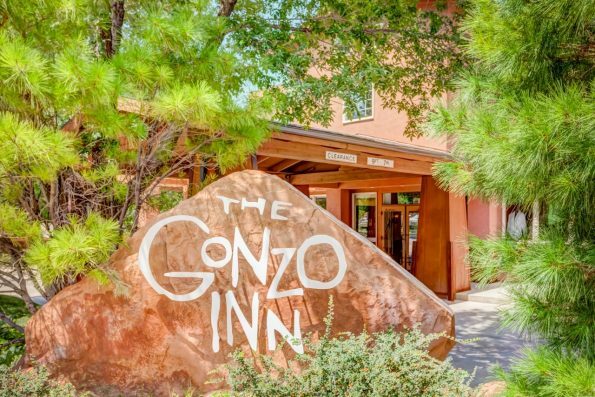 “There was a lot more bare ground available then.” By comparison, the Gonzo Inn is selling two rooms in their hotel for $339,000 to an investor who would like to buy a nightly rental and lenders are lined up to provide loans. The “Affordable Housing” Designation: What does it mean? The “self-help” program offers government-subsidized loans to owner/builders once they can sell it at market value, and there is no deed restriction on the community rebuilds. In Aspen, by comparison, purchasers can only sell for a certain percentage of the market value, but that rule doesn’t fly in Moab. Moab has two trailer parks and a few affordable housing options, but they are sold out and completely full. As a result, it’s not uncommon to find one or two trailers in backyards and driveways housing river guides and other seasonal workers. Back when most lots in Moab were a half-acre or bigger, there was room for secondary dwellings, and enterprising residents are taking advantage of it. One adventure tour guide said (off the record) that some young people camp in their cars or in tents all summer so they can afford to stay and work. 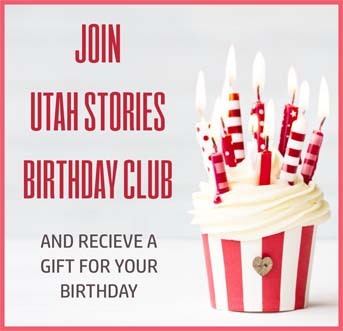 Utah State University already offers classes in Moab and they plan to build a mid-sized Moab campus. A few years ago, a new hospital was built along with a large aquatic recreation center and library. The housing shortage has led to staffing and labor problems for these venues. The current cost of construction is at least $150 per square foot. Unless the City Council decides to accept an influx of new permanent residents, and/or change the laws, Moab’s affordable housing and labor shortage will continue. The same shortages have existed in Park City for years, where they have solved the problem by having laborers commute from less expensive housing outside the city. The closest town to Moab is Green River, and the four-lane highway in-between is already heavily congested. Perhaps a bus or shuttle system could transport labor from Green River, which pales in comparison to the living standards and amenities offered in Moab. The most obvious solution would be to allow zoning changes for taller buildings with more density. Otherwise the town will continue to sprawl outward and the highway will become even more congested. Well over one million visitors are expected to sight-see in Canyonlands and Arches National Parks this year. Moab’s tourism visitation has increased by 438% since 2004.